Clear vision can improve you overall quality of life. Attending routine eye exams can help you preserve good vision for as long as possible. At Monterey County Eye Associates, we provide comprehensive eye care services to meet all of our patients’ needs. 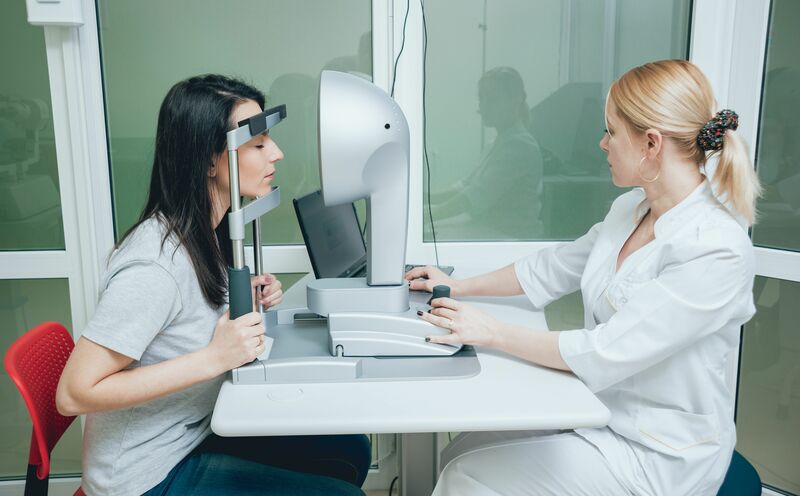 In this blog post, we discuss eye care and vision statistics. Read on to learn more, and then contact our Monterey, CA practice to schedule an appointment with us. Poor vision can affect a child’s health, grades, and social skills. The majority of learning happens through visual processing. Children whose vision is less than 20/20 have a higher risk of doing poorly in school. Approximately 23 percent of drivers have impaired vision across the world. Many road accidents can be linked to vision impairment. An estimated 2.4 million eye injuries occur in the United States each year from household products and work-related injuries. Many, about 90 percent, of all eye injuries can be prevented with the use of protective eyewear. A foreign body in the eye is the most frequent type of eye injury. About 25 percent are attributed to open wounds, contusions, and burns. More than 34 million Americans age 40 and older have nearsightedness. Approximately 14.2 million have farsightedness. Astigmatisms occur in about one in three people. Over 150 million individuals in the United States wear some type of corrective eyewear, approximately 37 million wear contact lenses, and each year consumers spend more than $15 billion on eyewear. About 800,000 LASIK and PRK procedures are performed every year. This is the leading cause of blindness in the world. Cataracts affect more than 24.4 million Americans over the age of 40. Exposure to UV rays, diabetes, and smoking are factors that contribute to cataracts. Around two million cataract surgeries are performed in the United States each year. This is the second leading cause of blindness. Glaucoma affects more than 2.7 million people in the United States. Around 2.1 million Americans age 50 and older have later-stage AMD, and 9.1 million have early-stage. This condition is more common in men as they approach 80 years of age. This condition can cause vision loss and blindness and is a common complication of diabetes. It is also one of the most preventable of eye diseases; 90 percent of diabetics can prevent or delay blindness with early detection and treatment. Nearly 4.2 million Americans age 40 and older are visually impaired. 1.3 million of these are considered legally blind, and more than 2.9 million have low vision. Looking ahead at our increasingly aging population numbers, those who become blind or visually impaired in the United States is expected to double by 2030. The eyes are an essential part of our health. Vision care must be included in your overall health and wellness routine. Identifying and treating eye disease early is key to retaining your vision and a comfortable way of life. Call us today at 831-375-2020 or contact us online to schedule your appointment.